I got in an argument with my husband and re-read “Ready to Learn the Five Secrets of Love” and “The Importance of Revisiting the Moment” to remind myself of reasons why I should put my anger aside. I started a new job and fell out of my workout routine so I re-read “The Best Doctor For You Is You” to motivate myself to get back to doing what I need to do to stay healthy for myself and my family. Balancing two jobs and my family has left me little time for socializing as well, even though my friendships are extremely important to me. “Brighten the Corner Where You Are” provides me with easy tips for making the most of my interactions with them and with others. Despite my efforts to eat healthy (most of the time), age has finally caught up with me and my metabolism is slowing so I’ve been finding myself envying other women who don’t seem to be suffering the same fate. “On Attachment and Aversion” helps me focus on those feelings and dissipating them (via a fun mental exercise the author suggests). The book is conveniently organized by topic so whether you are seeking motivation for Goal Analysis or advice on Maturing and Staying Young, it is easy to find wisdom within these pages. The variety of articles ensures that you will have no trouble finding several that you will enjoy. There are touching stories for those who prefer sentimentality and straightforward guidelines for those who appreciate a more direct approach. Most articles are 2-3 pages so you could easily tackle the book as a daily devotional of sorts. 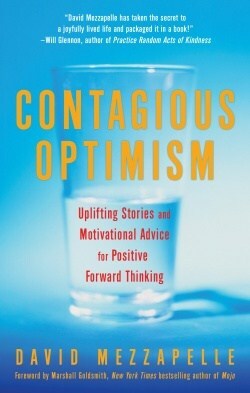 No matter how you put the book to use, you will certainly view life more positively and hopefully, you will radiate that optimism to others and spread the feeling. I’m a worry-wart-glass-half-full girl myself. But I can always use some practical tips. I love books organized by topic for us gotta-know-now girls. This sounds like a great book! I too have fallen out of my workout routine and need to get back to it! This sounds like my life! I love how you were able to pin point little parts of your life from what they talk about. Great examples! I love self-help books but sometimes I never get through reading the entire thing because I often feel like it gets into too much of what I already know I’m missing. This sounds quite interesting though. I am definitely a glass is half full kind of girl – love optimism! These kind of books are my very fav because its what I wholly believe in! Thanks so much for sharing! will def be checking it out! I almost never read self help books but your review makes me think that I might just enjoy reading this one, and then read it again.